Cambridge University Press, 9780521853590, 536pp. A compelling subject, war is common to almost all known societies and almost all periods of history. The Cambridge History of Warfare is a comprehensive account of war in the West. 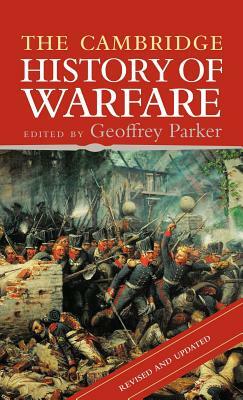 The combined effort of seven leading experts, this book treats the history of all aspects of the subject: the development of warfare on land, seas, and air; weapons and technology; strategy and defense; discipline and intelligence; mercenaries and standing armies; cavalry and infantry; chivalry and blitzkreig; guerrilla assault and nuclear warfare. It places in context particular key elements in the history of armed engagement, from the Greek victory at Marathon, through the advent of gunpower in medieval England and France, to the jungle warfare of Vietnam and the strategic air strikes of the Gulf War. Throughout, there is an emphasis on the socio-economic aspects of military progress and how these help explain the rise of the West over the past two millenia to global military dominance.